Alex Esteves grew up in the Ft. Lauderdale area of southeast Florida. He also lived in Brazil for 2 years prior to entering high school. He attended Florida Atlantic University on a soccer scholarship where he graduated with a Bachelors Degree in International Business. He made the move to southwest Florida in 2008 to pursue a career in Firefighting. 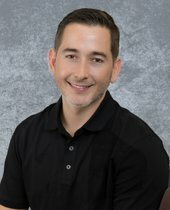 With an extreme knowledge of all areas in Cape Coral, he can help you find the right home.